South by Southwest (SXSW) has been a very prominent festival in Austin since 1987 and has been expanding every year. The first year only held 177 artists, 15 panels and 15 venues, however in 2017 there were 2085 artists, 320 panels and 104 venues. What once started as just a music festival with some speakers, has become a multifaceted event that stretches all across the city and hosts many big-name speakers such as Barack Obama, Bernie Sanders, and Elon Musk to present at the different venues. 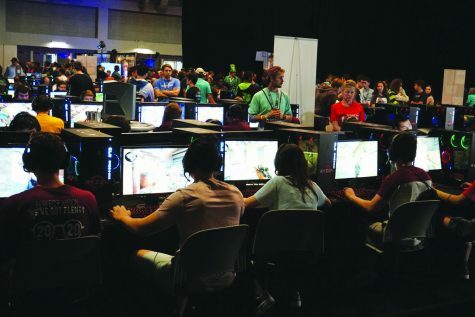 In 2012, there was a push to include a gaming section into SXSW because of the rapid rise of “gaming culture” around the US following the popularity of games like Call of Duty, Assassin’s Creed and Dark Souls 2. Though these games were not showcased at the event, it allowed for many smaller games and new technology in the gaming scene to be showcased to thousands of people. This has helped small games and gaming companies grow in popularity and notoriety. Attendees gather in the Open Play Area at the SXSW Gaming Convention. The gamers play Counter-Strike, one of the many games offered in this free-to-play area. Recently, the video platform called YouTube has allowed for many to start careers making videos and entertaining the general public with them. With revenue from advertisements on their videos and sponsorships of their channels, these Youtubers are able to make a constant profit as they gain more subscribers. This is especially popular in the gaming community and the game showcased this year, Clash Royale, is no exception to this. One famous attendee at this year’s SXSW gaming expo goes by the name of “Chief Pat.” His real name is Patrick Hardy and he has accumulated over 2.5 million subscribers on YouTube. 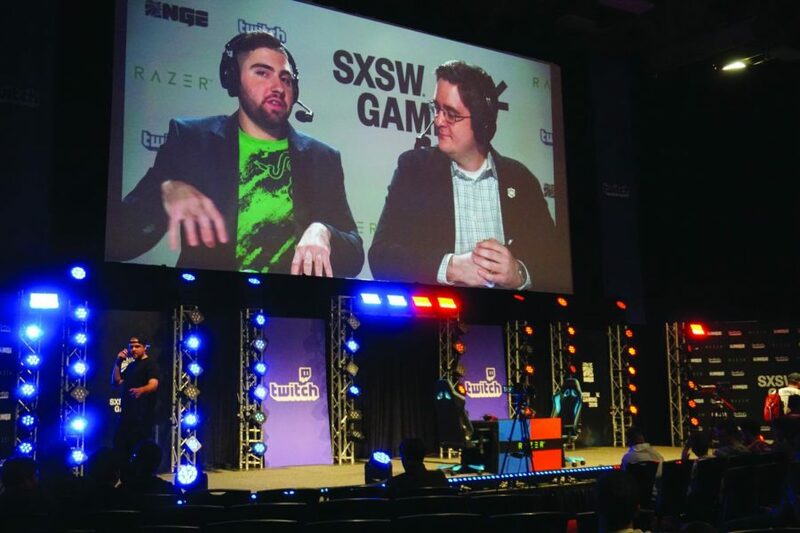 According to Hardy, he attended SXSW this year to support his new team of professional gamers. This event has helped expand the gaming company, Supercell’s, publicity for the new Clash Royale League that will be released soon. This Super Magical Cup was a tournament that allowed for regular players to play against professionals and compete for prize money. Additionally, anyone who did well was also scouted for a chance to join one of the semi-pro teams in the league. Super Soul Bros plays their jazz-funk fusion music for the Gaming Expo. The band combines jazz, funk, and classic video game tunes with their electronic instruments. Another attendee, LASA sophomore Kalen Bhakta, said he was excited about this event, and was not disappointed with the events that were showcased. Bhakta didn’t participate in the tournament, but said that he was very surprised about the fast growth of new mobile games. “Recently, Fortnite and PUBG released mobile versions of the games and I think it was inspired by the growth of other games like Clash Royale,” Bhakta said. 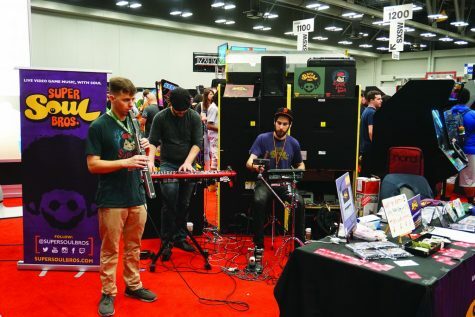 According to Bhakta, even when not at the gaming convention, SXSW provided plenty of music and entertainment to make walking around downtown enjoyable. 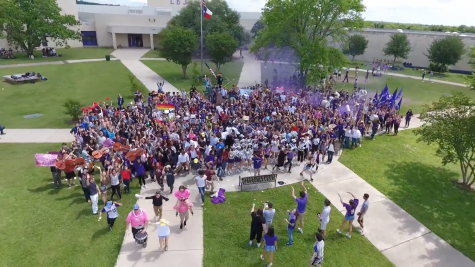 “I didn’t have to make it into the auditorium to see the people dressed up as everything from the members of KISS to some characters in a video game that I couldn’t place,” Bhakta said. 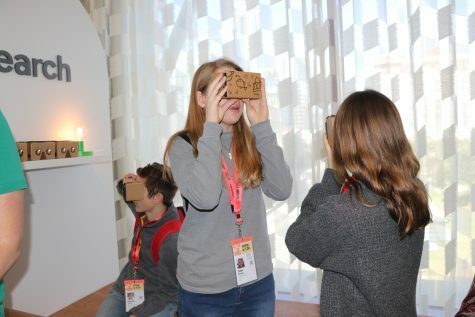 A big element of SXSW is the city that hosts it, and it is through Austin that SXSW can provide expositions on large industries such as the gaming industry, as well as showcase fans from all over the entertainment world.